On Hartwick College Week: Getting rid of corruption can be a difficult proposition. Ryan Ceresola, assistant professor of sociology, examines the reasons why. 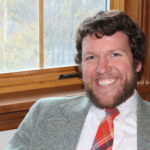 Ryan Ceresola is an assistant professor at Hartwick College in Oneonta, New York who researches white-collar crime, political corruption, and the sociology of the environment. His work has been published by Crime, Law and Social Change; Rural Sociology; and Sociological Perspectives, among others. He earned his M.A. and Ph.D. at Southern Illinois University Carbondale, and a B.A. in Sociology and in English from Pacific Lutheran University in Tacoma, WA. My most recent research looks at the federal agency tasked with investigating and pursuing political corruption convictions in the United States: the Department of Justice’s (DOJ) Public Integrity Section (PIN). To date, there has been no systematic, sociological analysis of this organization’s output, which is a problem because without understanding what corruption enforcement agents actually do, we are less able as a scholarly and policy-oriented community to make meaningful and necessary changes to the system. Thus, I’ve recently conducted a content analysis of 35 years of annual PIN reports to Congress, from 1978 – 2013. In this research I find three major themes that might help explain why corruption enforcement is so difficult, and why there are so many opportunities for corruption for politicians these days. First, the PIN never explicitly defines what corruption is, and truly the definition and enforcement focus varies based on the Attorney General heading the DOJ. Second, these reports highlight the most dramatic cases of corruption to Congress, as opposed to the more mundane, typical ones. This focus often emphasizes the private sector or individual malfeasance as the reason for corruption, rather than public systems that might be problematic. Finally, beginning in 2010, the reports have stopped briefly detailing each case investigated, and instead only present highlights of the cases and summary statistics. This means that what scholars can study in these reports has become even more opaque. All in all, this research calls for a dramatic reform, specifically with regard to the DOJ formalizing its anti-corruption policies and providing more information about that corruption to Congress and the public.